As I told CBC Radio, the Overbrook Community Association is continually advocating for better transit and transportation links in our neighbourhood. The Overbrook Community Association is pleased to be participating in the City of Ottawa’s Building Better Revitalized Neighbourhoods study that is focused on the Vanier-South and Overbrook area. The study will be designed to consider a range of economic development incentives and initiatives for businesses along St. Laurent Boulevard, as well as ways to improve pedestrian and cycling routes along the street and its commercial area. The study will also help the City determine how it should go about coordinating its ongoing and upcoming projects in the area, and also examine key sites within the area that may be subject to redevelopment. Ottawa Community News has published an article about Friends of Rideau High’s effort to petition the Ontario government about the flawed process concerning pupil accommodation review. Both the Ottawa Citizen and Ottawa Sun reported on Rawlson King, President of the Overbrook Community Association, telling the Ottawa Carleton District School Board trustees that the closure of Rideau High School would be “an act of systemic racism”. The Overbrook Community Association is very pleased that the City has endorsed an application to grant a heritage application to the former Overbrook Public School. During the process I was able to make a statement of support to Ottawa's Built Heritage Subcommittee. On Saturday, June 11, 2016, residents gathered for the official grand opening of Riverside Memorial Park. ​Overbrook is a family-oriented community, so the Overbrook Community Association is working hard to advance a proactive and reactive crime prevention strategy, along with promoting social inclusion. In the face of our changing neighbourhood, how can we work together to cultivate a welcoming and compassionate community? 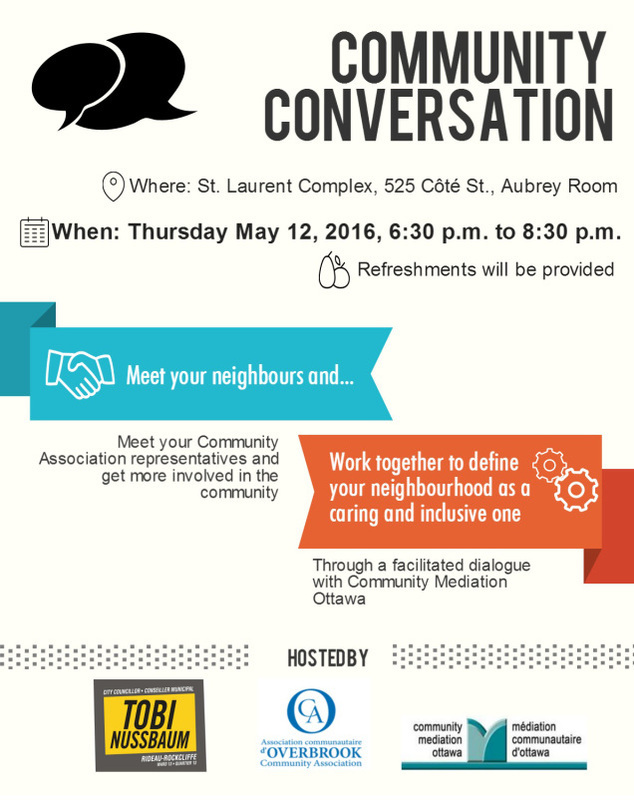 Community Meditation Ottawa hosted a community conversation in Castle Heights at the St. Laurent Complex on May 12 at 6:30 pm that built connections and good-will among residents, shared ideas on how to build a supportive, welcoming community that works together towards a shared purpose, and built links between residents and the Overbrook Community Association. Read the article about the conversation. 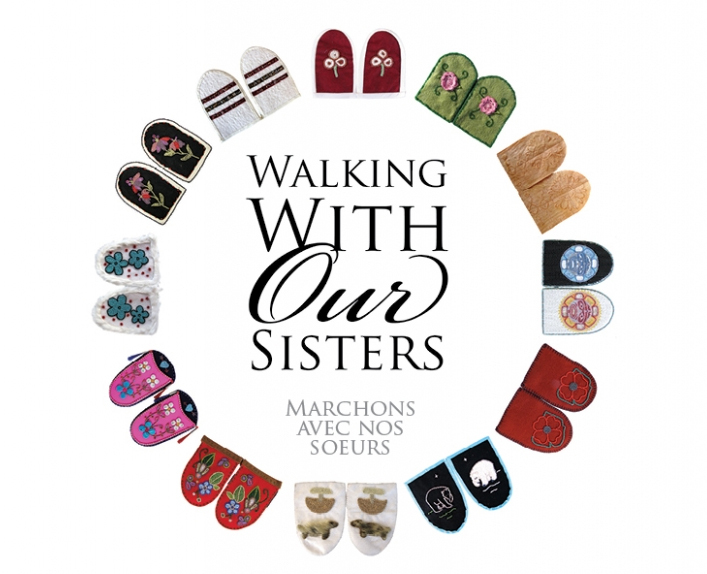 As President of Gallery 101, I want to congratulate our staff on behalf of the gallery’s Board for sharing the Award of Outstanding Achievement in Exhibitions from the Canadian Museums Association (CMA) with the Carleton University Art Gallery and the Walking With Our Sisters Ottawa and National Committees.